My Kitchen Rules came under fire from an A Current Affair story last night but it was no contest in the ratings race with Seven’s reality show scoring 1.62m viewers. However the return of Revenge at 720,000 was down by 468,000 on its 2014 premiere, with a 15 minute time difference. Nine shows were in front of Seven before 7:30pm but later Gallipoli dropped again, down to 527,000 viewers, while ABC had a strong night. Seven comfortably won the night with a 32.6% share then Nine 26.2%, ABC 19.5%, TEN 16.7% and SBS 5.0%. Following MKR for Seven were Seven News (1.00m / 975,000), Home and Away (910,000), Revenge (720,000) and Million Dollar Minute (478,000). Parenthood was 285,000 / 176,000. Nine News (1.16m / 1.14m) led for Nine then A Current Affair (982,000), The Block (832,000), Hot Seat (604,000) and Gallipoli (527,000). Person of Interest was 164,000. Nine’s Oscars broadcast was 361,000 for the live telecast and 248,000 in a repeat on GEM. ABC News (865,000) was best for ABC then 7:30 (812,000), Four Corners (775,000), Australian Story (773,000), Media Watch (736,000) and a powerful episode of Q & A on domestic violence (547,000 / 109,000). TEN Eyewitness News was best for TEN on a difficult night with 643,000. The Project was 572,000 / 426,000. SVU was 430,000 / 294,000. Simon Reeves Sacred Rivers (267,000) topped SBS ONE followed by Richard Hammond’s Wild Weather (228,000), SBS World News (165,000) and a repeat of Gourmet Farmer Afloat (145,000). 7TWO’s Judge John Deed ruled multichannels with 278,000. I wish celeb get me out of here would finish. I want to watch undercover boss. Have loved this season of Revenge but fear it will struggle for 7 considering it’s almost finished in the US, and even NZ is ahead of us! Think low ratings across several import tv shows will become more common because we’re so far behind. it was an interesting story ACA had last night on adam from mkr. they were pretty serous allegations and i wonder if we hear a reply from him. So nice to have parenthood back and i just love revenge. Revenge may have started 2014 at nearly 1.2m but it dipped below 700k towards the end when it started after 9pm. There were was an extra 200+k in the +7s. So its up a bit since then. I’m not surprised about Revenge. 14 eps behind the US, barely any advertising and a 9pm start. Hey David, you made a post about SBS airing a James Cameron Deep Sea Doco a short while back but notice it wasn’t on last night…. were there any amendments and do you know when that will air? I’ve gone back and taken a look at the info I was supplied and I regret to report an error in the info as supplied to me by SBS. The programme aired on Sunday night, the info supplied to me had a Monday broadcast (and I now find elsewhere a Sunday broadcast). I will raise this with SBS as it has been happening too often. Sorry but I think you will need to try SBS On Demand now. Ah no worries. Thanks for the quick follow up I’ll go check out on demand. 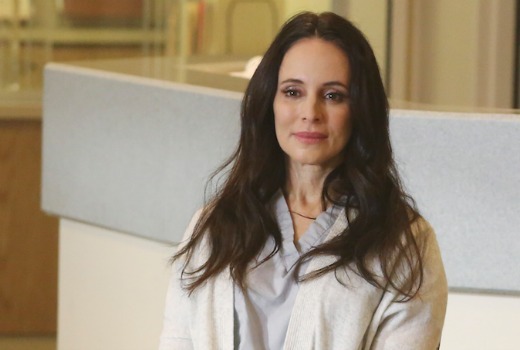 not surprised about Revenge and this is highly unlikely due to a delay of many months in broadcasting here, ratings have sunk in the US and it is highly probable that this season will be the last. 7’s timing is really bugging me, I don’t care if a programme is a couple minutes late, but 15 minutes is silly, just advertise an 8:45 time or whatever, you’ve still offset the time from the traditional blocks of programming to retain viewers, but you’ve also been honest with your audience. Sigh. That was a terrible series return last night for Revenge. Fast Forward 6 months and they have totally changed some of the character eg Jack. The episode just didn’t seem to gel properly. I guess loyal Judge John Deed viewers did not realise or even care that Seven dropped two episodes to go straight to the Hague episodes which are in season six instead of airing One Angry Man episode and Heart of Darkness. Both episodes are not on the DVD release of season 5, but important to see in the relationship between the Judge and Jo Mills. I can not understand why they showed these two episodes in the first screening and in the repeat but not screening them now. Given the way 9 treat the schedule lately, I’d be surprised if Person of Interest continues in that timeslot next week. Anyone actually interested in watching PoI hasn’t wasted their time waiting for Nine to eventually pull their finger out. I’m interested, I haven’t gone anywhere else! It’s now at the mercy of my spare time though now, and given those ratings from last night I most likely won’t be in any hurry to watch. What the fudge? Those numbers for Hot Seat are abnormally high with no clear reasoning. The first think I thought after watching most of four corners and q&a is why isn’t the government diverting funds that makes useless government employment agencies richer to underfunded government programs that actually help people. Not a revenge viewer but the figures don’t surprise me when its the end of February and 14 eps have aired in the US and then 7 decides to air it at the late time of 9pm. There’s a double episode of parenthood again next week in a very late timeslot. So rather than 7 fast track they burn off another show in doubles. Same old story 7. Looks like Gallopoli’s late night 11pm Saturday repeat instead of airing the movie City Hall at that time didn’t improve those ratings.